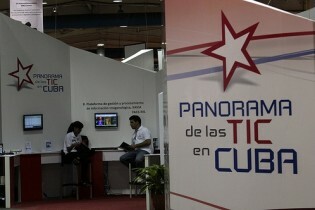 Cuba will continue to prioritise public Internet access over connectivity in private homes, as indicated by a government announcement Tuesday that 118 new public cyber salons would open nationwide as of early June. Thousands of young Cubans are graduating in computer engineering, a sector the government decided to strengthen over the past decade. But their professional future is uncertain because of failures of organisation and of internet connectivity. Reporters working in the Philippines, the world’s third most dangerous nation for journalists, are having difficulty identifying with the "It’s More Fun in the Philippines" tourism promotion campaign launched by the Liberal Party-led government of President Benigno Aquino III. Two years ago, Ashkan Delanvar was arrested by Iranian authorities and held in poor conditions for 14 days before he was sentenced to 10 months in prison. According to a book published in the Argentine capital, major Latin American newspapers with access to the secret cables obtained by Wikileaks decided not to print them because doing so would run counter to their own interests. Romeo Langlois, a French reporter in Colombia, removed his helmet and bullet-proof vest and ran towards the guerrillas during fighting between them and Colombian army troops on Saturday, Defence Minister Juan Carlos Pinzón reported. "We're making a three-dimensional educational video game. The idea is to create virtual worlds where children can explore and interact with other people and objects," said Carlos Villagrán, seated at a computer in the Campus Tecnológico in the Guatemalan capital. As the May 6 date for Serbia’s general election inches closer, two young Belgrade playwrights have capitalised on the electoral war of words between the pro-European camp and conservative nationalists to highlight the dark side of propaganda and expose the omnipotence of party membership. A pioneer of citizens’ journalism in Vietnam is risking 20 years in jail for defending Internet freedom and exposing the draconian censorship laws in this communist party-ruled country. About 140 million Africans are now on the internet. With half of the population under age 15 and 70 percent of the population under 30, social media is becoming an important feature in the continent's development path. In a major speech commemmorating the Nazi Holocaust, U.S. President Barack Obama Monday announced several steps his administration will take to curb mass atrocities abroad, including in Syria where he is under continuing pressure to intervene with military force. Over the past few years, the political landscape of the Middle East was wholly transformed by the diffusion of social media across the region. Accounting for 50-65 percent of the region's population, young Muslims quickly embraced these new platforms of mass communication and soon thereafter, they became leaders of revolutions. Afghanistan is quickly becoming one of the deadliest countries in the world for foreign and local journalists. In the last decade alone, 16 journalists have been killed on the job and so far no one has been brought to justice for these murders. The capital of Uruguay has become the headquarters of Latin America’s six leading Internet organisations, brought together in the same building. Wielding mobile phones and computers, the young activists across the Middle East have altered the way the world approaches popular mobilisation, social networks and Internet freedom. A dissident Chinese author has expressed dismay at the lack of independent and exiled authors represented at this year’s London Book Fair (LBF), where China is guest of honour. An ensuing public spat, revolving around accusations that the Fair’s organisers have bowed to Chinese authorities, has thrust the thorny issue of censorship to centre-stage. When an Egyptian court fined former president Hosni Mubarak and two aides a total of 90 million dollars for cutting mobile and Internet services during protests that led to his ouster, it indicated the value placed on communication services in this Arab country. Whenever I think of the youth issues, I remember: "Our youth are not failing the system; the system is failing our youth. Ironically, the very youth who are being treated the worst are the young people who are going to lead us out of this nightmare." The rapid currents moving the centre of economic influence towards an emerging global order headquartered in Asia were evident at the PanIIT’s 2012 annual conference of alumni of the highly prestigious Indian Institute of Technology (IIT), which took place in Singapore over the Easter weekend. May 1998 was a terrible and magical moment in the history of Indonesia's youth movement. Community Radio (CR) broadcasting in India, long bound by red tape, has received a fillip with the government announcing a hike in advertising tariffs and the auction of licenses.